Residents at the camp for internally displaced persons at the UNMISS Malakal Base. Photo: © UN Photo/Isaac Billy. The United Nations peacekeeping mission in South Sudan (UNMISS) has reported that heavy fighting broke out yesterday between pro-government and opposition forces near its compound in the Upper Nile state town of Malakal, while condemning those who instigated the inter-communal violence that flared up inside its base. The Mission said that fighting between Sudan People’s Liberation Army (SPLA) opposition forces and government troops, which started yesterday morning, appeared to have subsided, although there were continued reports of gunfire and mortars being heard in the area, a UN spokesperson told journalists in New York. Simultaneously, inter-communal clashes flared up within the UNMISS compound where 21,568 internally displaced persons are seeking refuge. The situation inside the UN compound has since been brought under control, according to the latest information from the Mission which is providing medical treatment to a number of wounded people. 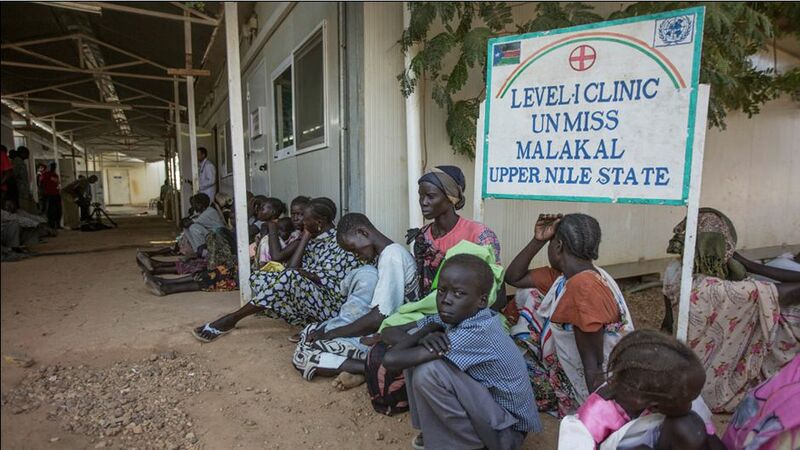 UNMISS says that 10 people died at its hospital from injuries received both inside and outside its compound. Continued fighting between the parties over control of the state capital “will only exacerbate an already dire situation for the civilian population and undermine efforts to stabilize the situation in [the country],” the Mission said. UNMISS, which protects some 75,000 civilians in bases around the country, stressed that both parties to this conflict must respect the “inviolability of the premises and facilities of the UN” and its “impartial role in the current crisis” along with a commitment to protect all civilians, whatever their background. “It is imperative that both parties fully comply with the Cessation of Hostilities-agreement,” the Mission stressed, noting the ongoing talks under the auspices of the Intergovernmental Authority on Development (IGAD). The mediation effort between the government of South Sudan and the wider SPLA led to a ceasefire signed last month in the Ethiopian capital, Addis Ababa. The UN in South Sudan yesterday called on both sides to establish a monitoring and verification mechanism for the ceasefire, which is critical for progress in the negotiations and for a peaceful settlement of the conflict in the country. Over the past two months, thousands of people are believed to have been killed by fighting that began as a political dispute between President Salva Kiir and his former deputy president, Riek Machar. Some 870,000 others have fled their homes, 145,000 of them to neighbouring countries and 75,000 to UNMISS bases.